Popularly known as the Bluegrass State, Kentucky is home to bustling cities, endless pastures, waterfalls, wedding venues, breweries, amusement parks, the world’s longest cave system, and of course, Kentucky Fried Chicken. A vacation to Kentucky will give visitors exactly what they’re looking for, whether its listening to bluegrass music at one of the many fairs and concerts or laying back and relaxing by the many lakes and rivers that can be found across the state. The museum is filled with historical and educational exhibits that take visitors on a journey to explore the many branches of the United States military. Some of the most popular displays and attractions include the Remembrance Walls, a collection of weapons designed by Leonardo da Vinci, and special events such as a Veterans Appreciation Day Car Show. 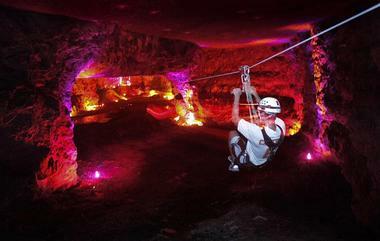 There are different ways of touring the cavern – the Mega Zips tour includes the world’s only fully underground zip line course, while Mega Tram is an underground adventure conducted on a SUV-pulled tram. If visitors are there during the holiday season they can experience Lights Under Louisville, a 30-minute underground light show voted one of the top ten in the nation. 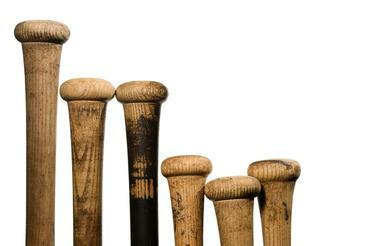 One of the museums visitors will find on Kentucky’s Museum Row, the Louisville Slugger Museum and Factory is an array of interactive exhibits that showcase the story of the Louisville Slugger baseball bats and the role they’ve played in baseball and American history. The museum lies within the factory so visitors can see the many exhibits as well as go on a tour of the factory to see how the bats are made. Some of the attractions include the world’s largest baseball bat weighing at 68,000 pounds or the opportunity to hold a bat used by players such as Micky Mantle or Andre Dawson. Since 1985 the Kentucky Derby Museum has dedicated itself to preserving the history of the Kentucky Derby. For those who aren’t familiar with the popular attraction, the Kentucky Derby is a sport involving the racing of thoroughbred horses. The museum takes visitors on an exciting journey through the derby’s history with various exhibits, films, and photographs. Visitors can see how foals are bred and trained from birth so that they may eventually make it into the Kentucky Derby’s winner circle. Visitors can enjoy the 360-degree theater, view exhibits on trainers and jockeys, and visit a cemetery dedicated to past champions such as Sunny’s Halo and Dust Commander. Shaker Village of Pleasant Hill is a National Historic Landmark and a preserved Shaker religious community site that was active for over a century till 1910. One of the largest historic communities of its kind, Shaker Village has over 2,800 acres of farmland for visitors to explore. On the land are thirty-four original 19th-century buildings built with the tools and methods used in the Shaker community. The village is continuously maintained by farmers, naturalists, historians, and many others to keep the land thriving and as close to its originality as possible. There are tours, rides, activities, and events scheduled throughout the year. Originally a railroad truss bridge, the Big Four Bridge is now a pedestrian and bicycle bridge that connects Louisville, Kentucky to Jefferson, Indiana. Visitors can walk down the 2,525-foot span over the Ohio River and take in some stunning views of their surroundings. One arm of the bridge leads to the Louisville Waterfront Park, an 85-acre park in Louisville with multiple lawn areas, walking/ jogging/ cycling paths, tree groves, picnic areas, a children’s play area, an amphitheater, and an esplanade alongside the river. There are many outdoor concerts, fairs, fireworks exhibitions, and other events held there throughout the year. Whether visitors are automobile aficionados or not, the National Corvette Museum will enthrall every single person in the family. Considered America’s sports car, the Corvette is a highly coveted vehicle. The museum is located in Bowling Green, Kentucky, where the legendary car is produced, and visitors are invited to see over 80 different Corvettes designed and built in different periods of America’s history. There are one-of-a-kind prototypes that can’t be seen anywhere else in the world, mint classics, and an adjacent NCM Motorsports Park where visitors can spectate or race a lap of their own. There are many racing events held throughout the year such as the Michelin NCM Bash and the MiM Nascar in the South race. 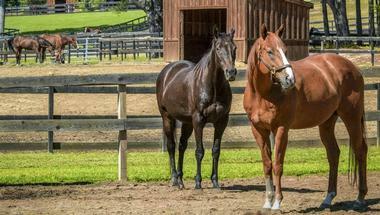 Old Friends at Dream Chase Farm is a lot of things, including a place for thoroughbreds to retire, a museum that educates visitors on horse breeding and racing, and a group that promotes awareness on the love and care of equines. Visitors can go see many horses who no longer race or breed and get up close and personal with Kentucky Derby winners and other stars such as Popcorn Deelites, who can be seen in the movie Seabiscuit. 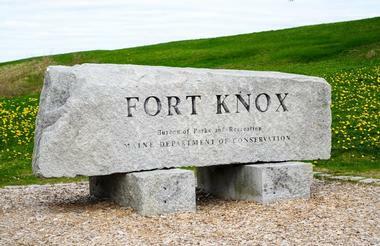 The farm is open to the public, and there are guided walking tours provided multiple times a day. The Conrad-Caldwell House Museum will take visitors back in time to 1893 when famed local architect Arthur Loomis built the house for Theophile Conrad and his wife. They lived in it for twelve years until it was bought by William E. Caldwell, who made it his family residence for another 35 years. Since then, the house has been a retirement home, and it is now also a museum maintained by the St. James Court Historic Foundation. Visitors will love exploring the decor and architecture of the Richardsonian-Romanesque home with its corner towers, elaborately carved fireplaces, high ceilings, stained-glass windows, parquet flooring, and carvings of gargoyles and other animals. There’s also a massive collection of antiquities and period items within the house as well as stunning garden surrounding it. 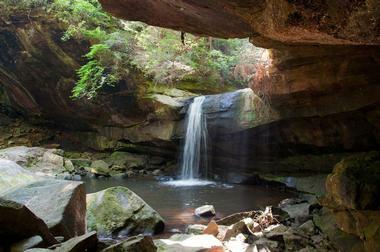 Explore Kentucky’s great outdoors in a fun, safe environment that the entire family will enjoy. Mammoth Cave Adventures offers just that with two zipline courses, a Tarzan Swing, and a tower drop to choose from. Ensuring that everyone has an unforgettable time, the two zipline courses includes Kentucky’s very first zipline style canopy tour and a course that offers amazing views of the mountains in Mammoth Cave National Park. The Tarzan Swing is a one-of-a-kind experience where visitors find themselves hooked to a 40-foot pendulum swing off an 80-foot tall Hickory tree. Visitors who are looking for something a little less exhilarating can spend the day horseback riding into the scenic trails of Mammoth Cave. Set in the heart of downtown Lexington, the Mary Todd Lincoln House was the home of Mary Todd Lincoln – the first lady and wife of Abraham Lincoln, the 16th President of the United States. It was built in the early 1800s as an inn and tavern, but was then bought by the Todd family in 1832. Mr. and Mrs.
Lincoln visited the three-story home many times after their marriage, and now visitors can visit the historic home themselves. There are fourteen rooms in the stunning home, now a museum that contains the remnants of the lives the Todd and Lincoln families led. The artifacts range from portraits and personal belongings to period furniture and decor, each of which has an interesting story behind it. Museum tours can be scheduled throughout the year for large groups and private tours, but otherwise the museum is closed from December to March. Located in Petersburg, Kentucky, the Creation Museum is a 75,000-square foot state-of-the-art facility that takes visitors through some amazing, and exciting, exhibits on biblical history. Other than the exhibits, visitors can also explore the botanical gardens that resemble the Garden of Eden, a petting zoo, a planetarium, the Tower of Babel, and a zip line adventure. The kids will love exploring the many dinosaurs and dragons that can be found at the museum, as well digging for their own dinosaur bones and touching a real dinosaur fossil. During the December holiday season, visitors can enjoy a walk down Christmas Town, a dazzling light show with nativity scenes. Dedicated to the late Muhammad Ali, the Muhammad Ali Center is a museum and cultural center committed to teaching visitors about the boxing legend, his life, and his core values. The exhibitions display the many things that Ali accomplished in his lifetime, not only in the ring, but also in other areas of life, including the way in which he helped others and inspired people around the world. 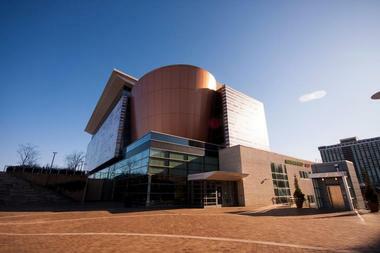 Visitors can explore the many exciting displays in the six-story building, which also has an amphitheater and a plaza. You’ll find tons of boxing memorabilia, a collection of videos of Ali's greatest fights, and two art galleries with rotating exhibits. The Natural Bridge State Resort Park is named after what it is most famed for, a natural sandstone arch bridge that spans 78 feet and is 65 feet high. The bridge was formed over millions of years by the natural process of weathering and is a stunning sight to behold. One of the most unique sandstone rock formations on the bridge is Balanced Rock, which is a block of sandstone balanced on the edge of a cliff. 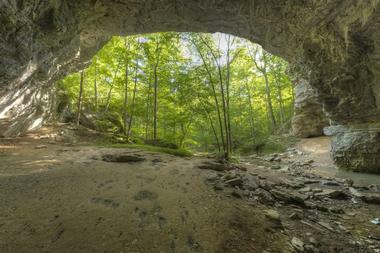 There are over 20 miles of trails for visitors to explore, including Henson's Cave Arch, White's Branch Arch, Fat Man's Squeeze, and other scenic areas. Located within the Daniel Boone National Forest, Cumberland Falls State Resort Park is 1,657 acres of land fitted with a visitor's center, a 50-site campground, a lodge, and a restaurant with stunning views of the river. Visitors can spend their time exploring the land, mountain biking, hiking, fishing, white water rafting, or going on horseback rides. Some of the most unique natural features found in the park include the 68-foot-tall Cumberland Falls, the 44-foot-tall Eagle Falls, and a moonbow that can be seen on full moon nights. There are many events held at the park throughout the year which visitors can partake in depending on when they visit. 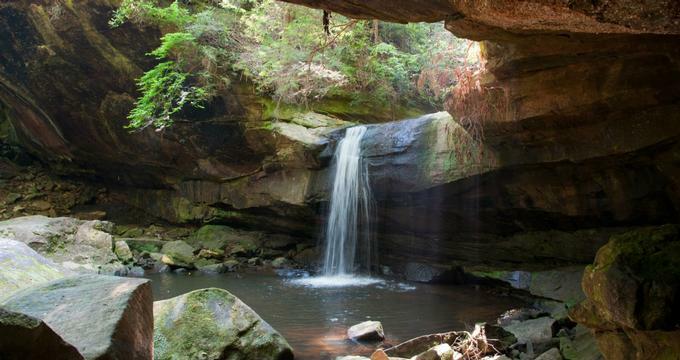 Some of them include the Native American Weekend in March, Overnight Canoe Adventures, Nature Photography Weekend in April, and the Kentucky Hills Craft Festival in September. 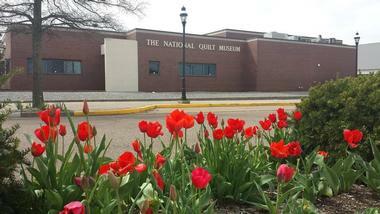 The National Quilt Museum is a museum and center that focuses not only on exhibiting extraordinary quilted works, but also on the education and advocacy of quilting and the importance of introducing the art form to future generations. Over 100,000 visitors come from all over the world to explore the three galleries that constantly rotate exhibits so that there’s always something new to see. Some of the most popular exhibits include Kaffe Fassett’s Heritage Quilts and a collection of miniature quits no larger than 24x24. There are many programs offered to students at no cost to learn the technique of quilting as well as events like the School Block Challenge or Quilt Camp. One of the most fun family-friendly attractions found in Kentucky, the Newport Aquarium is open to locals and visitors every day of the year. There are over fourteen galleries and seventy exhibits filled with interactive activities that everyone in the family will love no matter their age. There are five tunnels that go through the aquarium, which showcases thousands of animals from around the world, including Sunshine, a shark ray from Taiwan. Visitors can explore the rainforest, the Amazon, Gator Alley, Kroger Penguin Palooza, Shark Central, and the largest jellyfish gallery in the Midwest among other things. Kentucky Kingdom opened in 1987 and has been through various phases to become the theme park it is today. The original theme park phased out until Ed Hart purchased and reopened it in 1900 with an array of new roller coasters and rides, and it was further altered once Six Flags took over in 1998. Eventually, Ed Hart repurchased the theme park and reopened it in 2014, establishing the theme park visitors see now. There are five roller coasters, including the Storm Chaser, which was introduced in May 2016. There's something for the entire family from toddlers to the elderly, including a 5-D cinema, a giant Ferris wheel, the Raging Rapids River Ride, and a number of heart racing rides and rollercoasters. Other attractions include Hurricane Bay, which has a large wave pool and a collection of water rides, and King Louie's Playground, filled with rides for the underage visitor. The State Botanical Garden of Kentucky, also known as the University of Kentucky Arboretum, is over a hundred acres of land open to the public every day of the year. The botanical garden is split into various sections such as an herb garden, a vegetable garden, a home demonstration garden, and a home fruit and nuts garden that has pecans, Persian walnuts, and Chinese Chestnuts. There are multiple other sites that visitors will enjoy such as the "Walk Across Kentucky," which allows visitors to experience the seven regional landscapes such as Bluegrass, the Appalachian Plateaus, and the Cumberland Mountains, among others. My Old Kentucky Home State Park consists of many elements, including a 39-site campground, an amphitheater, an 18-hole golf course (the Kenny Rapier Golf Course), and wedding and conference space. But what it is most famed for is Federal Hill, more lovingly known as "My Old Kentucky Home." 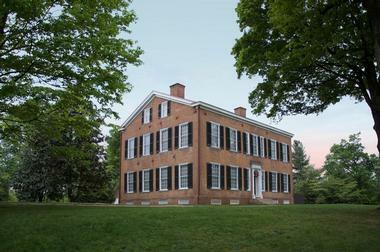 Visitors can explore the historic mansion that was once owned by US Senator John Rowan. It was an important site in US politics but was most famously known for its association with Stephen Foster's anti-slavery ballad, which the home inspired. 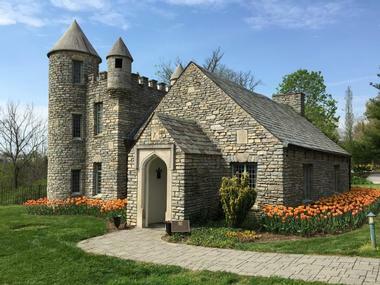 Visitors can explore the mostly-brick structure and its amazing architecture, which includes hand-carved windowsills and mantels, stable, and a garden house. Guides dressed in period costumes who are full of fun facts lead the tours to take visitors back to another time. A registered National History Landmark, the Ashland Henry Clay Estate is a plantation located in the heart of the Bluegrass region. Henry Clay, a 19th-century Kentucky statesman who lived with his family on the plantation mansion until his death in 1852, owned the plantation. 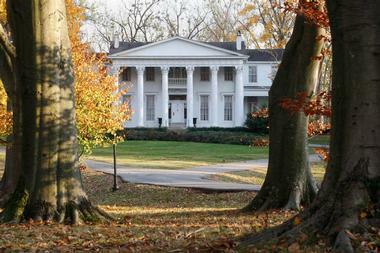 Visitors can now explore the mansion, plantation, and the surrounding lands. Tours of the mansion show the Federal style house in detail, including the Italianate details added in later renovations. Other than the stunning architecture, visitors will also gain a comprehensive understanding of Henry Clay and his legendary history. There are many events held here throughout the year, especially during the holiday season, including the Candlelight Tour at Ashland. In 1928, Grandpa Oral Wallace bought a six-acre apple orchard. He and his family lived in the two-room home on site and made and sold apple cider. Over time additions such as an auto camp, a small zoo, a barbershop, a diner, a convenience store, and a gas station were added. Generations later, Keith Holt reopened the now museum with a collection of toys and hillbilly art. 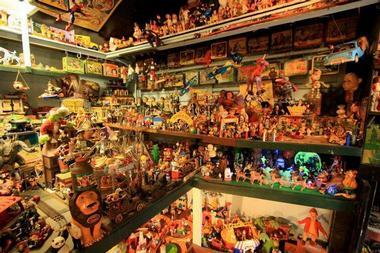 Visitors can explore the weird and varied collection of miscellaneous items that can be found at this folk art and toy museum. Offering one of the most unique experiences in all of Kentucky's attractions, the Apple Valley Hillbilly Garden and Toyland will be a memorable part of any vacation. Yew Dell Botanical Gardens was once the home, garden, and nursery of Theodore Klein and his family. 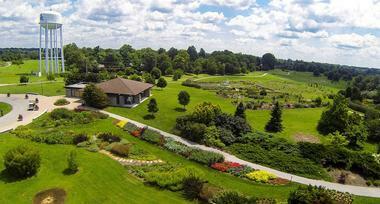 It is now an internationally recognized center for plants, gardening, and everything it involves. Listed on the National Register of Historic Places, Yew Dell is open to the public, allowing visitors to enjoy the amazing gardens and floral displays, hike on the trails, and to take part in the many events such as the Yuletide light display or the Holiday Wreath Making Workshop. Other than the various community events, visitors can also take part in one of the many educational classes and workshops that are available or participate in one of the ongoing garden plant research being conducted. A 14-acre park in the middle of Richmond, Kentucky, the White Hall State Historic Site is one of the state's most stunning parks. But what really attracts visitors is the park's major feature, White Hall, which was the residence of Cassius Marcellus Clay, a Kentucky legislature, 19th century politician, and abolitionist. The Italianate style mansion was built around 1799 and has forty-four rooms. Visitors can tour the majestic home that has been restored and preserved by the Kentucky Mansions Preservation Foundation. There are numerous heirlooms and period furnishings that can be seen throughout the mansion. 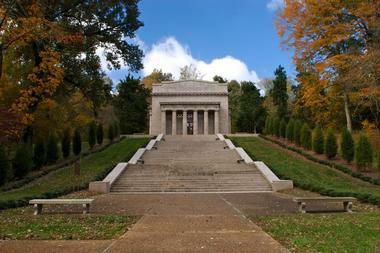 The Abraham Lincoln Birthplace National Historical Site is a collection of sites that honor Abraham Lincoln, the 16th president of the United States. Visitors can explore the First Lincoln Memorial, which was designed by John Russell Pope. It holds the symbolic birth cabin of Abraham Lincoln. The single room log cabin is where the future president was shaped to have the strong character he needed to lead the nation during the Civil War. One of the other sites is Sinking Spring, located on the land where Abraham Lincoln was born. It was also most likely the first source of water for the future president. The Lincoln family later moved to Knob Creek, another part of the historical sites, which is where the log cabin was supposedly originally located.